Its a super complex world out there, and it’s going to get more and more interesting. The big companies have so much wealth that any competitor entering their sectors are bought out to ensure that their market share is not challenged. It’s funny money for these companies to just throw at establishing companies and soon whilst your trying to move away from one company due to its business ethos, you will find that the choices you have are not there as competitors are the same company. Take Facebook for example, proven to sell your privacy to the biggest bidders, security issues with your devices and how they report to you. Instagram was bought out, to ensure market dominance when people turned away from Facebook. The masses turned against Messenger, Facebook bought Whats Ap. This is a reoccuring theme with many of the largest companies in the world. So where do you turn when you want to support companies that prioritise customer values? Well by automatically supporting these companies you are further strengthening the position of monoculture businesses. Monopolies are in no way good for the consumer populace. We demand freedom of choices, but if you are feeding these big companies with your spending habits are you really creating an economic environment that you think will work for you in the future? Imagine anytime you have a problem you are ringing a call centre in the Phillipines or India, speaking to someone thats programmed to give you robot responses. AI smart learning will replace these people as these companies look for bigger profits and soon you will be speaking to preprogrammed responses. 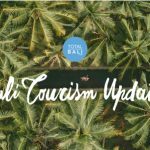 Next time you want to book a holiday, step away from the big search engines, book with an agent like Total Bali, we will have superior service, we will cost you less, we will get you qualified responses from people that understand the conditions you are experiencing, that speak the language, that can literally come to you and meet you to help you. Don’t get fooled into a world where you think that your genius booking code is going to get you bigger and better discounts, when really you are filling unwanted inventory or your payment terms and booking conditions are fixing you into a space where your interest payments and fixed bookings are effecting your consumer rights. Where the big companies are pressuring vendors to discount further and they give this to you, but in fact their profit margins stay the same. Businesses are being squeezed by large corporations and there is only one way to change this. It’s the way you spend. If we continue spending on these big companies we will be at the mercy of these companies, and we will find that we are no longer guided by what we want but how we fit into the system. So next time you have a choice, pick the companies that are creating competition, that are creating a culture of economic freedoms, that are allowing our world to be a safer more selective space. Spend your money on companies that have values that you think the world needs. The way you spend your money is one of the easiest way that you can create change.